Emerging Markets 5G Microwave significantly expands the reach and capacity of mobile backhaul while offering dramatic cost reductions. As the 5G era approaches, it is clear that microwave will remain the main backhaul solution for operators worldwide. 70% of base stations globally – excluding China, Japan and South Korea - will continue to use microwave backhaul by 2022, according to Huawei Research Institute. Moreover, the number of hops is forecast to increase by over 20% between 2017 and 2022 to a total of 2.8 million. In emerging markets, reliance on microwave for mobile backhaul will be above the global average. In Southeast Asia, the technology will be used in 83% of deployments by 2022, while three other regions -the Middle East, Central Asia and North Africa – will see it used in over 70% of deployments. The reasons for microwave backhaul’s prevalence in emerging markets are well understood. These regions typically have a lack of legacy copper infrastructure outside the central metropolitan areas, and when this is taken together with challenging topography, large distances, low population density and low average incomes, it makes fibre prohibitively expensive for the vast majority of settings. 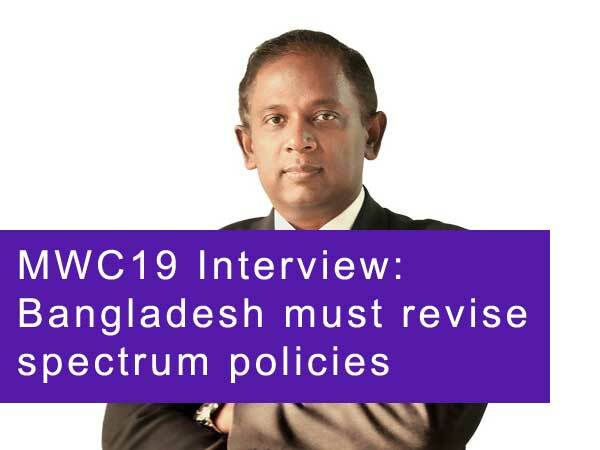 However, operators in emerging markets now face a significant challenge: demand for data services from existing end users is growing exponentially, while governments are ratcheting up the pressure to connect the unconnected to both voice and internet services. To meet these demands in the 5G era, extending the reach and capacity of microwave backhaul is essential - but this must be done at the same time as achieving dramatic cost reductions. 1. Limited spectrum availability and high costs: Emerging markets often require more hops due to topographic and climate-related conditions, yet spectrum can cost over US$2,000 per link per year in some countries (for example in the Middle East). In other countries, such as India, spectrum is extremely difficult to acquire due to strict regulation. These factors mean that spectrum can sometimes be more expensive than equipment. 2. Upgrade bottlenecks: Spectrum in emerging market is typically 28MHz compared to 100+MHz in developed markets. As a result operators face a critical challenge of balancing the need for exponential capacity increases with limited spectrum width. 3. High upgrade costs: The most common way of doubling capacity on a microwave network is by using Cross Polarity Interference Cancellation (XPIC) technology without additional spectrum. XPIC requires a different type of antenna but the antenna swap is prohibitively expensive due to the remote location of many networks. Moreover, in areas where tower sharing is common, tower congestion can prevent upgrades as new equipment is normally larger and heavier than the antenna being replaced and so requires more space on the tower. Addressing these challenges was the objective Huawei had when developing Emerging Markets 5G Microwave. The system aims to revolutionise both the economics and the technology solutions for backhaul microwave, providing powerful new capabilities for operators to drive affordable mobile access in emerging markets. MIMO (Massive Input Massive Output) doubles capacity without the need to acquire additional spectrum. Normally MIMO is hard to deploy in emerging markets due to the degree of separation needed between the two antennae. Huawei’s new 5G Microwave Enhanced MIMO reduces the antenna separation distance by 70%, from around 15m to less than 5m. This is achieved by new algorithms which reduce the interference between the antennae. An industry first, this vital development makes MIMO deployment on one tower a reality. The development deliverers huge cost savings for operators by eliminating the need to buy additional spectrum, reducing the space needed on towers and the size and weight of new equipment to be transported and installed. In another industry first, Huawei SDB bundles E-band spectrum with traditional microwave spectrum bands to deliver high capacity and long distance hops. The most commonly used spectrum bands for microwave are between 6-42GHz, which would be extremely expensive and difficult to procure in many emerging markets. The previously untapped 80GHz E-band spectrum is very much cheaper and capable of ultra-high capacity. The limitation with E-band is the transmission distance, which is normally limited to 3km. SDB layers ultra-high capacity E-band links on top of existing common band links, reaching distances of up to 7km in good weather conditions with up to 10GB capacity. In less than perfect weather the distance may drop below this, and in a worst case scenario capacity may also fall below 8GB, but the connection is still maintained. This means operators don’t need to buy additional bandwidth. Existing capacity can be reused with new E-Band spectrum to achieve high capacity, long distance microwave backhaul over a single link. All that is required is the installation of the new E-Band products to connect their traditional band and E-band. Super Dual Band very significantly lowers the compromise operators have traditionally had to make between capacity and distance. Huawei is the first vendor to develop an SDB antenna solution, the first with a full outdoor SDB solution, the first to deliver SDB over third party microwave, and the first and only vendor with a relay SDB solution. Other important advantages include low CAPEX compared to existing solutions and low power consumption - around half of that used in a traditional microwave backhaul system. Huawei’s new modular antenna solution can be transformed from single to dual polarity, frequency A to B, or upgraded to XPIC. This can be done on-tower without changing the whole antenna. Major savings are achieved as a result of eliminating the cost of new antenna purchase, installation and alignment, and the cost of disposal of the old antenna. In addition, deployment times are significantly reduced compared to traditional antennae swaps. Huawei’s Carrier Aggregation ODUs aggregate four narrow band spectrums into a single ODU which then performs like a wide channel unit. As a result, a single ODU can achieve 1.47Gbps over 2x28MHz - four times the capacity one ODU could previously reach. Additionally, the unit is lighter, smaller, requires less space on the tower, and comes with lower installation costs. Following installation the ODU can be remotely managed to achieve significant OPEX reduction. Huawei’s equipment has been successfully deployed in several emerging markets, demonstrating its suitability for these regions. In India, large scale network modernization has been made possible by implementing cost-effective Modular Antennae, which are now augmenting over 8000 links across the subcontinent. In addition to delivering connectivity benefits, the technology reduces Antenna swap cost by over 60%, allowing for rapid network build-out and thereby greater connectivity. Spectrum is a premium resource in the Middle East, with each link costing as much as US$2k. Doubling capacity via MIMO can in theory save operators 50% in spectrum fees, so the appeal is clear. Since Huawei launched its Enhanced MIMO solution, hundreds of MIMO links have been launched in the region and with many more planned for the near future. By affording operators major savings on spectrum costs, MIMO helps to dramatically reduce their Total Cost of Ownership. However, this is not the only solution available to operators wishing to boost the capacity on their spectrum. In several Middle Eastern markets, including Qatar, Lebanon and Kuwait, Huawei has completed over a thousand hosting operations on its Super Dual Band solution. By enabling the hub/aggregate links to carry more traffic from areas that were previously unconnected, the solution enables a cost-effective way of rapidly increasing capacity as much as tenfold. Huawei’s Carrier Aggregation ODUs also allow offer operators a means of increasing capacity while reducing Total Cost of Ownership. The units reduce the cost of deploying and installing hardware as well as lowering tower rental fees as they take up less space. Operators in Myanmar have reported their TCO being reduced by over 30% after adopting the units, which have also enabled a 4x capacity increase.